Apex represents the state of the art in variable speed chain hoist control. Both the controller and hoists are built to Kinesys’ exacting specification which allows for numerous features to be available to the operator. It has all the features you would expect like SIL3 safety and DGUV 17 compliance, sub millimetre precision and true zero speed hover. It also contains some less common like truly silent brakes, intelligent duty cycle management and real-time data logging. Apex is compatible with all Kinesys’ existing software control solutions which allows for seamless integration into existing systems. The Mentor series 4 range provide the necessary interfaces to allow Apex’s new safety over data technology to work alongside our existing product ranges. 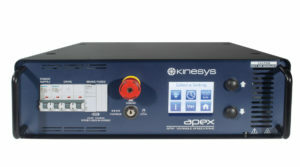 Ease of use has always been central to Kinesys product design. True to that philosophy is the ability to daisy chain power between drives using industry standard Ceeform or L21-30 cable. 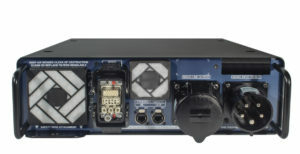 The safety over Ethernet technology in Apex also allows the data to be daisy chained through the drives using standard Ethercon cabling reducing the cable runs required to connect the system. 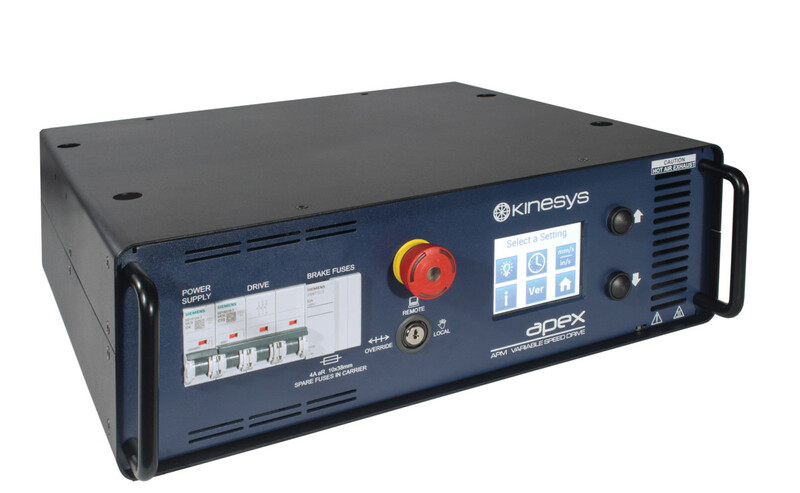 The on-board safety features also means that custom power distribution is not required for the Apex system, you can either use the Kinesys PD designed for the Apex range or your own existing stock if you prefer. SIL3 monitoring of speed, ramps, load, position and brakes means that any application can be supported by Apex and when working with the Mentor 4 controllers groups of hoists can be assigned and protected at a SIL3 level as well.